We know that for some, a beautiful smile seems like an unattainable goal. But to help improve smile beauty in Astoria, NY, we offer a unique and long-lasting cosmetic restoration. How do porcelain veneers transform smiles and what should our patients expect from the creation and placement process? Learn how we cover flaws and boost smile beauty in just two visits. What Makes Veneers Different From Bonding or Whitening? Whitening erases teeth stains, while bonding can mask stains and repair minor damage to a tooth. A veneer does both and more. They are actually thin shells of porcelain we place over the front of the teeth. 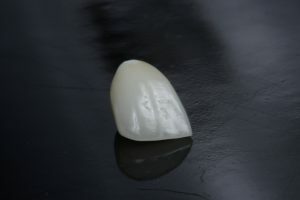 The restoration covers the front and sides of the tooth. Since porcelain is translucent like tooth enamel, we can shade the material to ensure a very lifelike smile improvement. 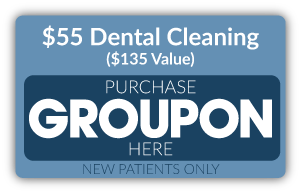 Once placed, we can mask severe teeth stains, reshape malformed teeth, repair minor chips and cracks, and even lengthen worn-down teeth. We also have a way of closing gaps between the teeth and correcting the appearance of minor misalignment. In as little as two visits, we completely transform the appearance of one or more of your teeth. We first need to make room for them, ensuring a comfortable fit and natural appearance. To do this, we remove a thin layer of enamel before we take detailed digital impressions. At a dental lab, an expert ceramist will use the impressions and images we gather to design them. In addition to a natural appearance, porcelain also withstands serious bite forces, offering improvement that can last for decades. Once we complete your new veneer, you will return to the office for placement. We will first check the fit. If needed, we can then make minor adjustments to improve the fit. After applying them to the teeth with a powerful bonding agent, you will leave with an esthetically improved smile. In order to ensure they stay bright and remains in place, you need to care for your smile, brushing and flossing daily. You should also cut back on sugary foods and drinks, which helps safeguard smile health. Be sure to see us every six months, so we can monitor your restoration and clean your teeth to protect your smile (and your veneers) from decay, infection, and gum disease. If you have any questions, please feel free to contact our office. Do You Need a Cosmetic Restoration? By creating and placing a thin restoration, we can change how your smile looks. 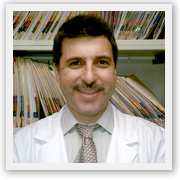 For more information on our approach to cosmetic dental care, schedule a consultation with us by calling Jeffrey Leibowitz, DDS, in Astoria, NY, today at 718-728-8320.